Hollywood is set to take another crack at translating the world’s bestselling sci-fi novel into a big-screen hit. So began “Dune,” the novel that, in the half-century since its publication, has outsold all of the other science fiction books on the planet, The Washington Post reported in 2015. Not bad for story that is at once an eco-parable, a warning about the corruptibility of goodness and a revenge tale starring a boy who grows up to overthrow the galaxy by inspiring a horde of religious fanatics. As TV and film directors have heard the siren call of Westeros and Middle-earth, Herbert’s ode to the desert planet Arrakis wormed its way through many a Hollywood ear. Several competent directors have tried — and failed — to translate “Dune” into a competent film. Now another, it seems, will get his shot. Writing on Twitter late Tuesday night, author Brian Herbert, son of the late Frank Herbert, announced that the novel had once again found a director to guide it to the silver screen. The early 1970s saw the first attempt to adapt “Dune.” Apjac Productions, the company founded by “Planet of the Apes” producer Arthur P. Jacobs, secured the option for the film. After Jacobs died of a heart attack in June 1973, the production company decided not to pursue the project; Apjac’s option expired in 1974. Next came Chilean-French filmmaker Alejandro Jodorowsky. Jodorowsky’s take on “Dune” was so far ahead of its time that the movie was never made. The fact that Jodorowsky had not read the book did not seem to diminish his enthusiasm. He was enamored of “Dune’s spectacle. He set about assembling a team of artists and eccentrics: Pink Floyd would do the music. Mick Jagger and Salvador Dalí were to have prominent roles, as would Orson Welles — playing the evil Baron Vladimir Harkonnen, a fellow so grotesquely fat that he relies on antigravity machines to move. (Jagger agreed, Dalí demanded too much money.) Jodorowsky envisioned “a film that gives LSD hallucinations — without giving LSD,” as he said in the 2013 documentary, “Jodorowsky’s Dune,” about the collapse of the project. The production ran out of funding, having spent $2 million without much more to show than a 14-hour script, storyboards and concept art. But what storyboards and concept art they were. In 2013, the film about the masterpiece that never was, “Jodorowsky’s Dune,” made the argument that the project’s influence spilled over into other, fully-realized movies. Ridley Scott and H.R. Giger worked together on the aborted “Dune” project; they would later collaborate to great success on 1979’s “Alien,” with Giger designing the horrific antagonist. After the failure of Jodorowsky’s “Dune,” producer Dino de Laurentiis secured the rights, and hired Ridley Scott to direct in early 1980. Within a year, Scott left the project. As a replacement, de Laurentiis asked David Lynch (who was also being courted by George Lucas to direct a film then known as “Revenge of the Jedi.”) Lynch chose “Dune.” The resulting movie, released in 1984, made just under $31 million on a budget of $40 million. 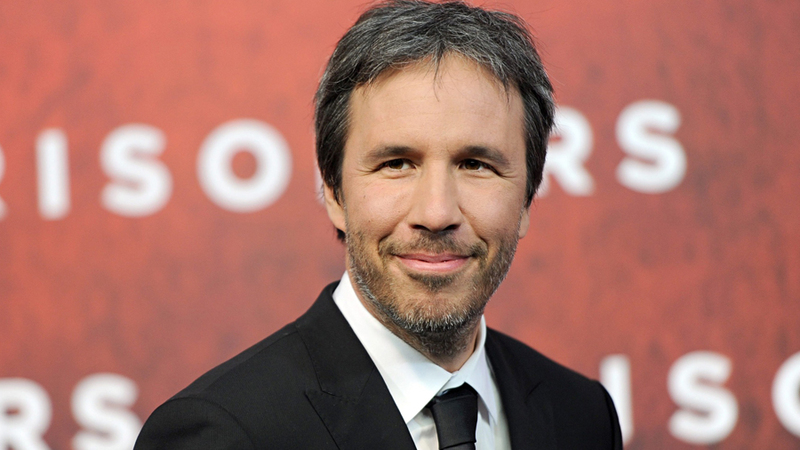 After the success of “Arrival,” “Dune” fans might have renewed hope with Villeneuve. The director’s self-described “arthouse commercial” approach to action movies — plus his ability to work on “Dune” as a series, rather than compress the narrative into a single episode, as Lynch did — could be just what the book needs. That is, of course, if Hollywood can once again coax “Dune” to slither off the page. If fear is the mind-killer, as Herbert famously wrote, the spectre of development hell is the hype-killer.